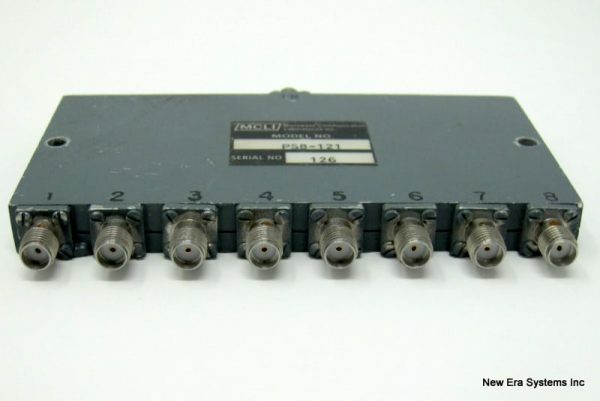 MCLI 8-Port KU-Band RF Splitter - Satellite Equipment & Bandwidth - New Era Systems INC.
MCLI 8-Port KU-Band RF Splitter model PS8-121 takes an RF signal between the range of 11.7 to 12.75 Ghz normally from an LNA and distributes the signal into 8 paths. ETL’s range of 8-way Ku-band passive splitters or combiners are now avilable and cover 10 – 15 GHz. 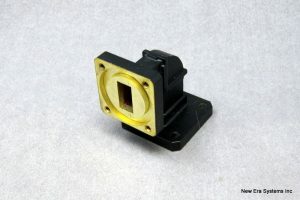 All units are provided with 50Ω SMA or N-type connector types. 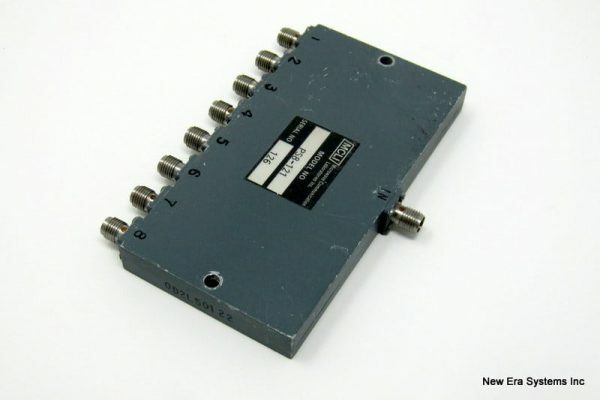 Applications: Typical fields of applications are telecom infrastructures, satellite systems, microwave links, test and instrumentation, and radar networks. 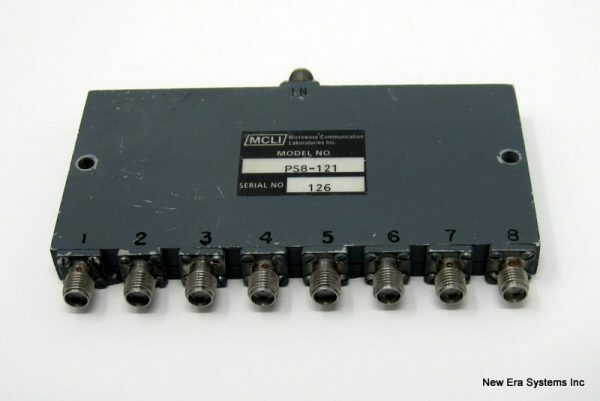 All of the connectors on the splitter are SMA female. 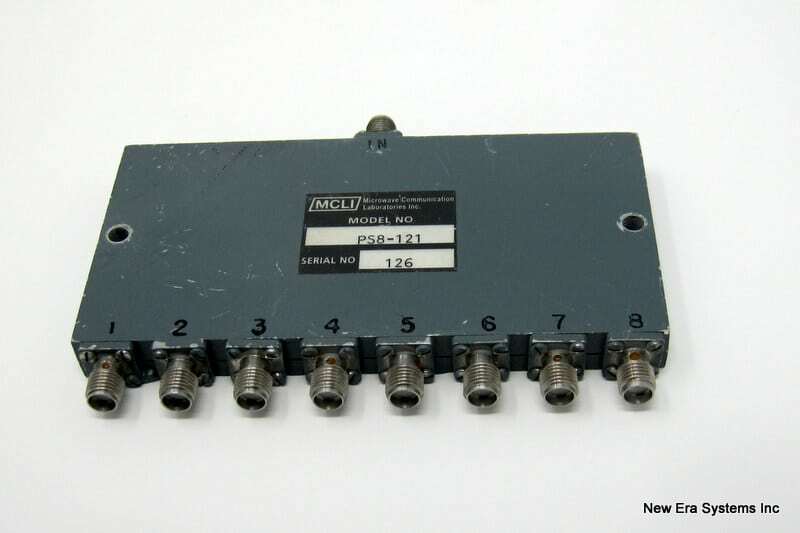 We have other MCLI 8-Port KU-Band RF Splitters of the same type but with slightly different model numbers and characteristics.